The Philippines called for a new ceasefire with Maoist insurgents after rebels killed two government soldiers. MANILA: The Philippines called for a new ceasefire Friday with Maoist insurgents after rebels killed two government soldiers ahead of peace talks in Norway next week. Negotiations between Manila and the rebels collapsed in February after the guerrillas killed several soldiers and police in a series of attacks, spurring President Rodrigo Duterte to angrily call off the talks. Duterte later softened his stance and agreed to resume discussions with the communist-led National Democratic Front. "The first agenda item that we will tackle starting April 2 will be the issue of a bilateral ceasefire agreement," Silvestre Bello, the government's chief negotiator, told reporters before flying to Oslo. However, he warned there were no assurances the government's objectives would be achieved. "We expect the discussion in this round of talks to be very difficult and exacting," Bello said. The communist insurgency in the poverty-stricken country began in 1968 and is one of the longest running in the world. It has claimed an estimated 30,000 lives, according to the military. 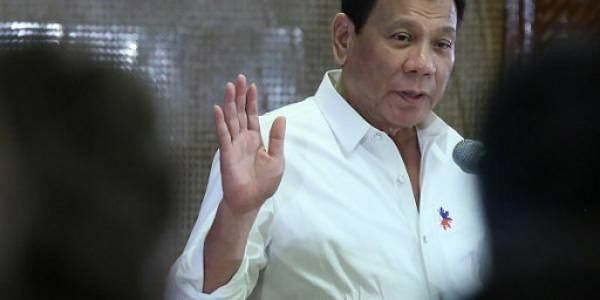 Duterte, a self-described socialist who once boasted of his links to the communist rebels, opened talks with the 4,000-strong communist rebel movement after taking office in June last year. He released captured rebel leaders and both sides declared separate ceasefires to pave the way for peace talks overseas. However, the talks soured as Duterte refused to release hundreds of other detained guerrillas. The insurgents later resumed armed attacks. In the latest outbreak of violence, communist guerrillas ambushed a military patrol in a remote village some 75 kilometres (about 47 miles) east of Manila, an army commander in the area said Friday. Two soldiers were killed and two others wounded in Thursday's two-hour firefight in General Nakar town, Lieutenant-Colonel Randolph Cabangbang told reporters. It followed a pledge last weekend by the Communist Party of the Philippines to launch a unilateral ceasefire by March 31 in support of the Oslo talks. The rebels also urged the government to reciprocate by ceasing armed operations against them. However, Bello stressed Friday that only a truce negotiated by both sides would suffice. Both sides were also expected to discuss a raft of socio-economic reforms that Bello described as "the heart and soul of the peace process". These aim to address the roots of the conflict that he said were linked to "social justice, extreme poverty... (and) corruption in the government".